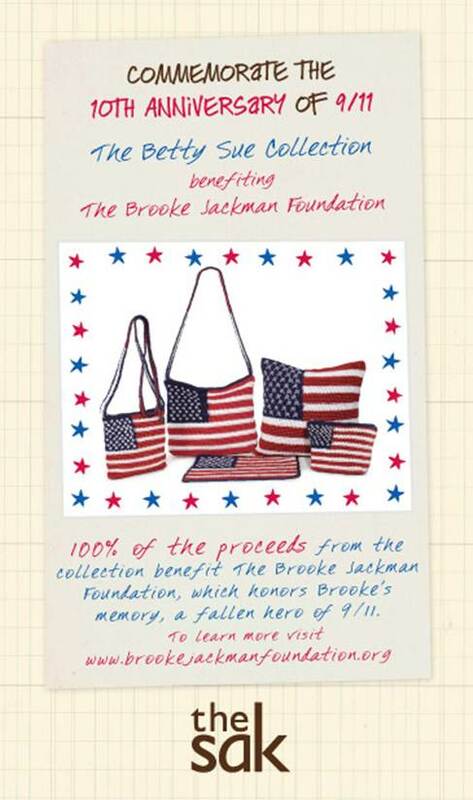 Commemorate the 10th Anniversary of 9/11 by helping The Sak Give Back! 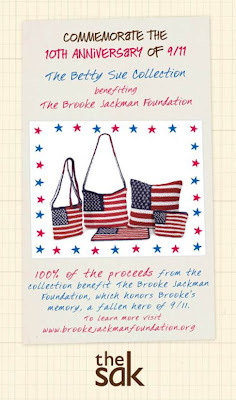 100% of the proceeds from the Betty Sue Collection benefits The Brooke Jackman Foundation, which honors Brooke's memory, a fallen hero of 9/11. Shop the Betty Sue Collection at The Sak today!